The birds were pretty cooperative for us this year – at the beginning of the year we were hoping to get about 420 species and we now have 431. Our big year was different than most as we worked as a team rather than individuals, we were looking for mammals in addition to birds and we wanted to visit every province and territory (some of which one would not likely visit if doing just a birding big year). Still, we ended up with a pretty good total and may have broken the Canada big year record. I say“may” because we don’t know what the record is! We believe that Peter Hamel, whom we met on Haida Gwaii, set the record in 1988. He didn’t say what his total was but he did indicate that it would be 436 using 2012 taxonomy. There have been a number of splits since 1988 such as Baltimore/Bullock’s Oriole, Pacific/Winter Wren, Spotted/Eastern Towhee, Gray-cheeked/Bicknell’s Thrush, Canada/Cackling Goose, Dusky/Sooty Grouse, and Blue-headed/Cassin’s Vireo), perhaps a lump (Common Teal/Green-winged Teal?) and delisting of the Crested Myna. Regardless, his total seems quite amazing considering that internet birding groups didn't exist back then and email was in its infancy. We did see a lot of great birds (with the help of a lot of great people!) including some life birds for each of us. 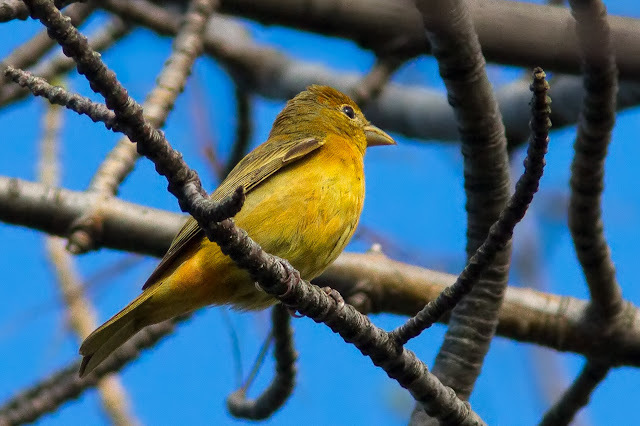 Certainly rarities rank among the highlights and the rarest ones (from a Canadian perspective) were Citrine Wagtail, Hepatic Tanager, Rustic Bunting, Brambling, Brown Pelican, Acorn Woodpecker and Costa’s Hummingbird – all but the tanager were seen in B.C. We ended up with four “heard only” birds – Yellow Rail, Boreal Owl, Chuck-will’s Widow and Bicknell’s Thrush. One of my goals was to see a Yellow Rail and this was about the only personal goal that I did not achieve during the course of the year. Before starting the year, we constructed a spreadsheet with Canada’s birds assigned to one of three categories: “should get”, “could be tough”, and “not expected”. We found 383 of the 391 “should get” birds and the ones we missed are: Flesh-footed Shearwater (which should have been in the “could be tough” group) Leach’s Storm-Petrel, Ancient Murrelet, Yellow-billed Cuckoo, Acadian Flycatcher, White-eyed Vireo, Golden-winged Warbler and Louisiana Waterthrush. Note that the last five are all Ontario breeding birds – I’ll touch on that later. 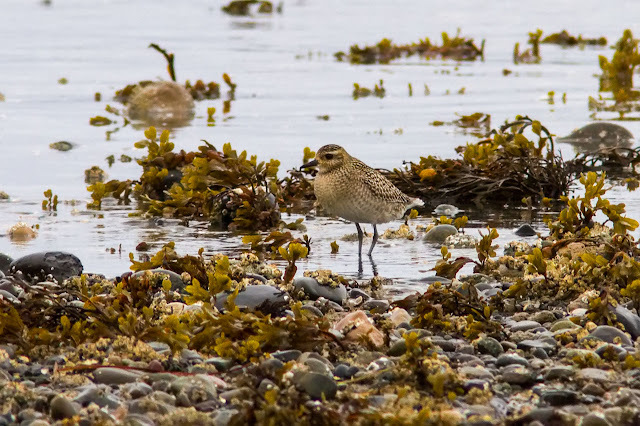 We found 40 of the 71 “could be tough” birds and found 8 birds that we had not expected: the seven rarities listed above and the Pacific Golden-plover (which should have been in the “could be tough” group). We did not keep track of “team” birds by province, so the following statistics are based on my personal records. The province/territory with the most birds was B.C. (5 trips) with 265 species; Nunavut (1 trip) had the least with 25 species. Out of 431 species, 126 were seen in only one province. The top 3 provinces in this category were B.C. with 63, Ontario with 32 and Nova Scotia with 10. Prince Edward Island, New Brunswick, Northwest Territories and Nunavut did not have any unique species for us and Quebec and Manitoba had just one each. 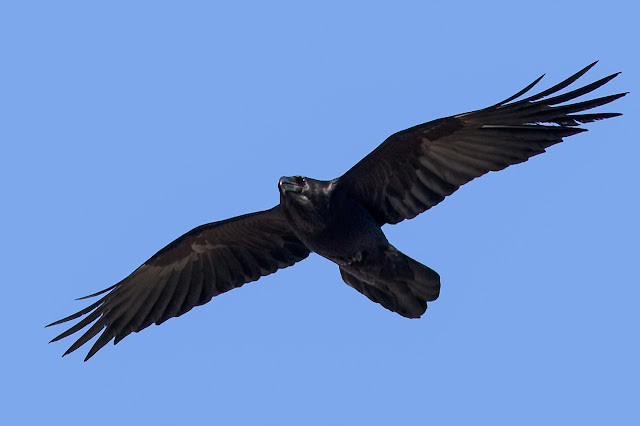 Only two species – Canada Goose and Common Raven – were seen in every province/territory. 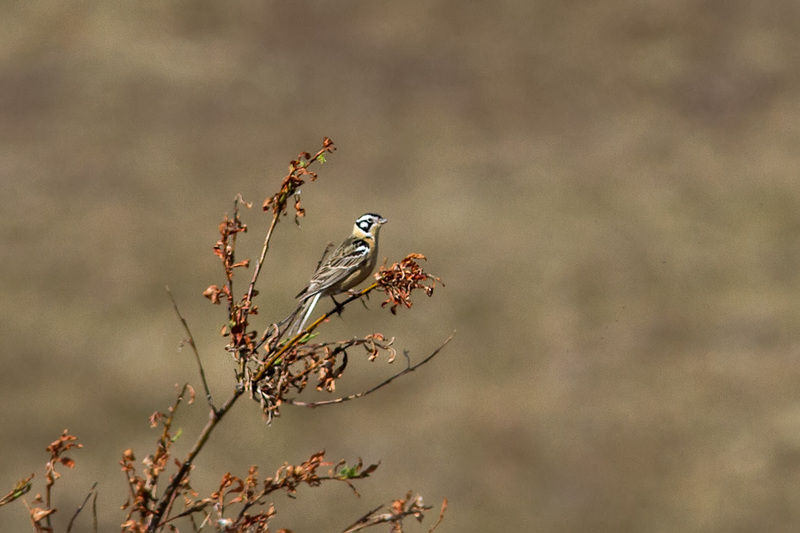 Seven other species were seen in all but one province/territory: Mallard, Bald Eagle, Herring Gull, Northern Flicker, American Robin, Yellow Warbler and Savannah Sparrow. You’ve read about our adventures and how much fun we had traveling throughout Canada so perhaps you’d like to do your own Canada big year. Well, all it takes is a bit of research, some good contacts and lots of time and money! 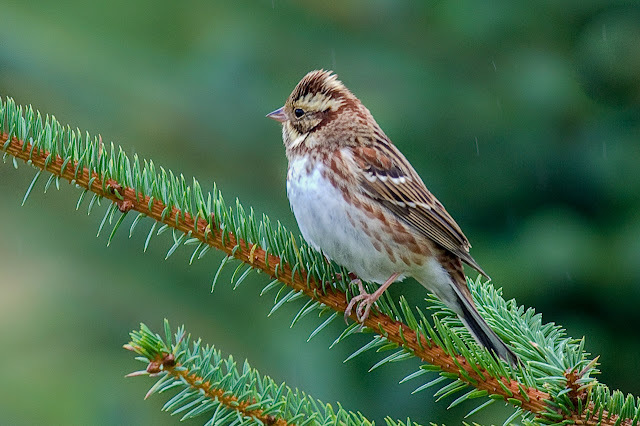 If you focus just on birds, it should be possible to record 450+ species in Canada in one year. To do so, it would be helpful to be based in southern Ontario or southwestern B.C. or perhaps Nova Scotia. This year, over 500 bird species have been seen in Canada so we missed more than 70 of them. Of the 70+ missed species, over 30 were in Ontario, 20 in BC and 11 in Nova Scotia. Canada is a very big country and unless one has unlimited funds, our strategy of planned trips versus chasing rarities worked pretty well. Following is a run-down of what worked well for us and what one might do differently for a birding big year. Our first trip was to Nova Scotia and Newfoundland in January. 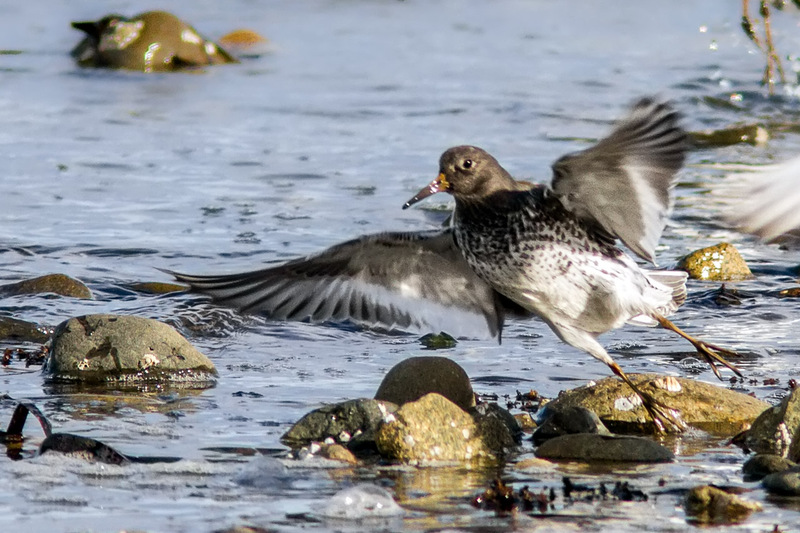 With lots of help, we recorded some key species that would be difficult to get another time or place: Purple Sandpiper, Black-headed Gull, Yellow-legged Gull, and Dovekie. We missed Thick-billed Murre (which we did get in the summer), Slaty-backed Gull and a Blue Grosbeak that had been seen in St. John’s. Dickcissel and Northern Mockingbird were bonus birds for us which we did not get again (though both species have been reported in various locations). A winter stopover in Ontario could have added 2 or 3 species such as King Eider, Fish Crow and Black Vulture. We could have taken the next two months off but the excitement of building our list kept us busy in Alberta. Our late March trip to BC was timed to get the wintering birds before they departed and to get some early nesting birds with Hutton’s Vireo and Williamson’s Sapsucker as the primary targets. This was a very successful trip including a Costa’s Hummingbird in Vancouver. 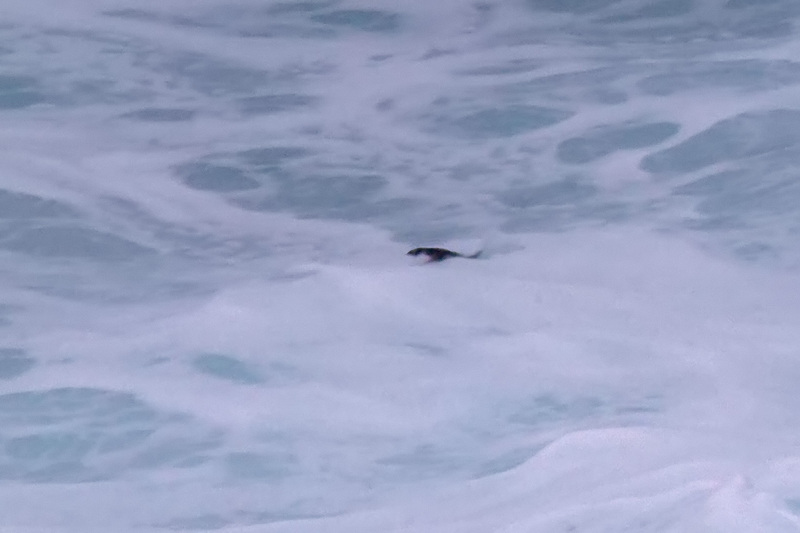 We missed Ancient Murrelet and I think there had been a Lesser Goldfinch reported earlier in the year so a winter trip to the coast may have been worthwhile. We made our second trip to B.C. to finish up with the breeding birds such as Gray Flycatcher, Common Poorwill and Flammulated Owl; our only miss was Sage Thrasher. There are also some rare breeders that we didn’t go after: Horned Puffin and Spotted Owl. The prairies, our home turf, were good to us. In April, May & June, some day trips and a couple of overnight trips to eastern Alberta/western Saskatchewan got us prairie specialties such as Greater Sage-Grouse, Burrowing Owl, Baird’s Sparrow, Grasshopper Sparrow and McCown’s Longspur. The only species that we missed was the Mountain Plover – not surprising as we didn’t look for it at the right time of year. I have seen them previously in the last week in April; others have reported success early in June once the young have fledged. We had originally planned to go to Churchill but dropped it from our itinerary as the Yukon offered pretty much the same species and we were going to the Yukon regardless. We were there the first week of June. Based on our experience, the last week of May might have been better but we did see most of our targets including Smith’s Longspur, Willow Ptarmigan, Rock Ptarmigan (world’s worst views of a distant bird looking very much like a rock except for occasional movement), Long-tailed Jaeger and Gyrfalcon. We went onto Inuvik and Tuktoyaktuk but didn’t add anything. A week earlier, one might get some migrants; a little later one might find King Eider or Yellow-billed Loon (both of which we missed). We did an east coast summer trip (Iles de la Madeleine, PEI, New Brunswick, Nova Scotia and Newfoundland) at the end of June. 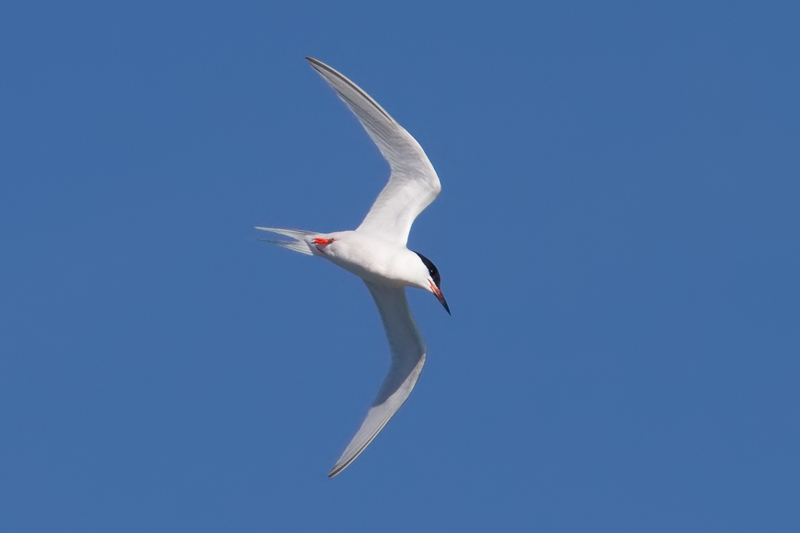 Once again, it was a successful trip recording key species such as Roseate Tern, American Oystercatcher, Bicknell’s Thrush (heard only) and Thick-billed Murre as well as nesting seabirds. Our pelagic off of Brier Island was moderately successful with Manx Shearwater and Wilson’s Storm-petrel but no Cory’s Shearwater. We also picked up some common species that we missed elsewhere – Yellow-bellied Flycatcher, Black-billed Woodpecker and Mourning Warbler. If we had been doing a birding only big year, we probably would have just focused on Nova Scotia and Newfoundland. We took it easy from mid-July to mid-August – I highly recommend a break now and then to recharge. Besides, about the only birds one might go after in mid-summer are Arctic birds such as King Eider (though they are regularly reported in Ontario in winter), Ross’s Gull and Ivory Gull. 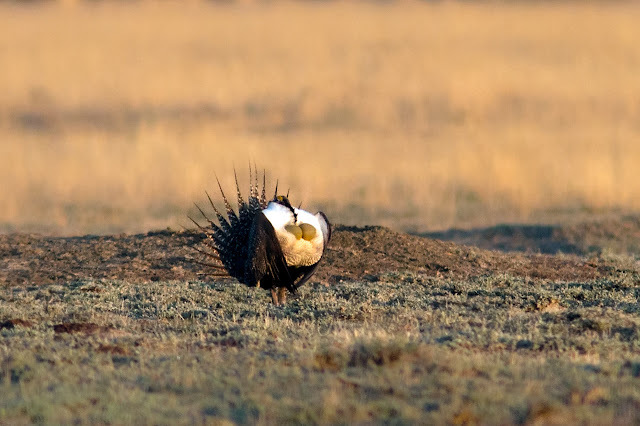 The best way to see these birds is probably by cruise ship – this option was way beyond our budget. We did go to Repulse Bay, Nunavut in late August which was not the best time for birds. Fall gives you another crack at the migrants as they head south and we made two trips to BC and one to Nova Scotia. 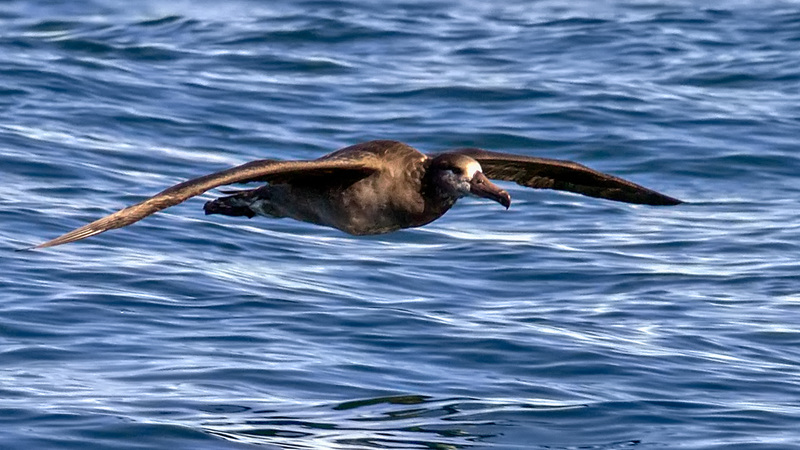 In BC, we made only one pelagic trip (apart from ferries) and saw expected species such as Black-footed Albatross and Pink-footed Shearwater. A couple more pelagics might have been useful to find species such as Flesh-footed Shearwater, Leach’s Storm-Petrel, Buller’s Shearwater and any rarities wandering into the coastal waters. On the east coast, we did pick up a couple of species we missed in BC – Red Phalarope and Pomarine Jaeger – and probably had a South Polar Skua but couldn’t be sure. We were hoping for some less common species such as Yellow-crowned Night Heron that had been seen earlier and Prairie Warbler which is regular in the fall but had no luck. A Northern Wheatear west of Truro was a nice bonus bird. In October, we made a quick trip to Saskatchewan for the Whooping Crane … easily done from Alberta but a long trip from most other provinces for just a single bird. Our last planned trip was to Haida Gwaii in mid-October. This trip offered the chance for some uncommon birds that we still needed, a second try for some pelagic birds and the chance of an Asian rarity or two. We added Rock Sandpiper, Sharp-tailed Sandpiper and Short-tailed Shearwater and also saw a couple of Asian vagrants – Brambling and Rustic Bunting. Anyone doing a Canada big year would be well advised to spend a week or two on Haida Gwaii. Our last couple of trips were not planned far in advance but undertaken due to a couple of mega-rarities – Hepatic Tanager in Saskatchewan and Citrine Wagtail in BC. The BC trip also offered Brown Pelicans and a final (but unsuccessful) chance at Ancient Murrelet and Tropical Kingbird. Late fall is clearly the time for rarities with good birds being reported in Ontario (thanks to Hurricane Sandy) and both coasts. If doing a big year, it would be worthwhile to spend some October/November time in any or all of these locations. One last thing, it helps to be young with good ears and eyes but you can do a big year at any age. Mike, who is now 81, was truly an inspiration to the rest of the team. He did miss our Arctic adventures as well as a couple of fall trips but not because he was at home taking it easy – instead he organized and led trips to Texas and Brazil and also made a solo trip to Costa Rica! I’ll be happy if I can be half as active in 20 years’ time. Your Big Year has been an inspiration and your photos are quite simply stunning. Have thoroughly enjoyed following your adventure.